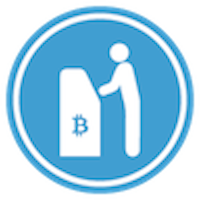 Pelicoin ATMs offer a fast, safe, and reliable way to buy cryptocurrency. Every Pelicoin ATM is compatible with Bitcoin (BTC), Litecoin (LTC), and Ethereum (ETH) and each coin can be purchased at the touch of a button. To access this particular ATM, go to the Chickasaw Express Shell on Poplar Ave. in Memphis, Tennessee. Buying cryptocurrency should not be a difficult process. As digital currencies become more widespread and accepted by businesses and individuals, people are searching for a place to purchase cryptocurrency quickly and securely. Pelicoin ATMs allow you to buy cryptocurrency within minutes at one of our convenient locations throughout the Gulf South. No matter what your plans are for your Bitcoin, Litecoin, or Ethereum, the easiest and safest place to start is at your nearest Pelicoin Bitcoin ATM. Transfer cash into digital currency by creating a digital wallet and storing your money wherever you go. More and more businesses are accepting Bitcoin as a viable currency, even allowing people to buy products and services with cryptocurrency. Our machines bring the simplicity of a standard ATM to the world of cryptocurrency. We also ensure that all our ATMs are housed in friendly, convenient establishments that are open late or 24 hours a day. Turn cash into cryptocurrency today at our Memphis Bitcoin ATM.